The meeting was held at the Wimbledon Arts Space, and chaired by Councillor James Holmes. 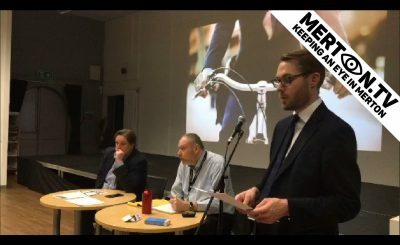 More than 70 residents attended, as well as seven other Merton Councillors. The Chair welcomed everyone to the meeting, introducing the councillors present at the meeting. Peter Walker raised concern about the impact of air pollution on the construction of the new Harris Academy school for 1100 pupils on High Path and the neighbouring Merton Abbey Primary School. 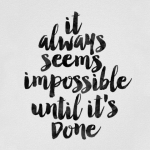 The submission from Harris to the Planning Applications Committee suggested there was nothing to worry about but this was in contradiction to the Air Quality Audit from the Mayor of London. The audit can be found at: https://www.london.gov.uk/what-we-do/environment/pollution-and-air-quality/mayors-school-air-quality-audit-programme. Mr Walker said building the new school on that site would make air quality worse and called on residents to press the Mayor of London, the Leader of the Council and the Planning Applications Committee to not go ahead. Details of the planning application can be found at http://planning.merton.gov.uk/Northgate/PlanningExplorerAA/GeneralSearch.aspx, reference number 18/P1921, and comments can be received until 9 October. Other residents commented that land from Merton Abbey should not be lost, that the construction phase would have a huge impact on the school and that the Planning Applications Committee should be independent and fair, not party political. There was also disappointment that bids for Merton Hall were viewed in private not public and that works had taken place before the bids were received. Cllr Stringer said she understood concerns about the impact of construction but that the new school would not have any additional impact on air quality. The new schools would use playing fields on Nursery Road so there would not be any impact on Merton Abbey Rec. Cllr Gretton called on the Council to reconsider the plans. [23:00] Friends of Morley Park https://friendsofmorleypark.org.uk/ asking about the locked park. Kris Witherington said that this issue had been raised at the Raynes Park Community Forum last week and Neil Milligan, Head of Development Control, said that the delay had been due to the need to remove Japanese knotweed from the site before handover. The council is insisting that Barkley Homes take out a significant liability insurance against the knotweed returning in the next ten years and once that was resolved the land could be handed over to Merton Council. 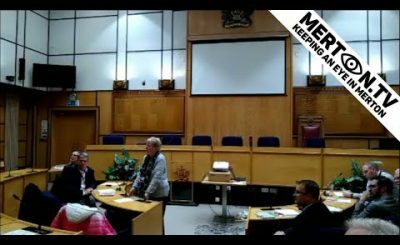 Fiona Gaylor, spoke about the Merton Clinical Commissioning Group’s plans and the conversations they have been having with residents. As presentation is available in Appendix 1. Fiona asked residents for feedback on local services. Residents said getting GP appointments could be very difficult, particularly at the Nelson. Other residents raised issues about continuing healthcare, drug and alcohol services, provision for rough sleepers, coordinated services for older people the Nelson, the accessibility of the Live Well service, and provision of a green gym. Fiona agreed to share the final report from the CCG. Children’s services, where the Council is a corporate parent to 135 children and young people, are also a high priority. The recent Ofsted inspection found that the Council was good with outstanding features and one of the top ten authorities in England. Working in partnership with other boroughs has also helped reduce costs. Merton leads a legal services partnership on behalf of four other boroughs; shares regulatory services like licensing across three boroughs and has event let out three floors in the Civic Centre to colleagues in the NHS. Renting out parks has also brought in additional revenue but can cause residents concern which the council is sensitive too. The new dementia friendly library in Colliers Wood was recently short-listed for the 2018 Library of the Year award. The Council has created an additional 4400 extra primary school places since 2010 by extending 23 schools. There are now 15 outstanding schools in Merton, including the most recently Harris Morden, a school which had previously rated as inadequate. The Council’s School Improvement Team continues to work across the borough to support schools. In last year’s GCSE results Merton had the highest scores for the Progress 8 school which measures progress from Key Stage 2 to Key Stage 4. There a number of important regeneration projects underway. Clarion Housing is investing £1billion in improving three estates, that will result in better quality homes and no loss of social housing. The More Morden regeneration is back on track, with a new local plan being developed in 2018, and a development partner being appointed to begin works on improving the public domain in 2021. The new £13m Morden Leisure Centre is due to open later in the autumn with a six-lane pool, diving pool, café and gym. The old leisure centre will then be demolished and returned to park land. On Plough Lane work is progressing on the new football stadium for AFC Wimbledon. The club will hopefully move in for the 2020/21 season. There will also be 600 new homes, at least 30% of which will be affordable. £7million has been invested in Mitcham town centre, the tower in Colliers Wood has finally been improved and a new improved healthcare facility at the Wilson should be open by 2022. Whilst Crossrail 2 is welcomed, it is not at the cost of the town centre. The use of Landfill needs to stop and the new rubbish and recycling service beginning on 1 October should help increase the amount of household rubbish is recycled to over 45%. The new system should also save £1.5m in the first year, £2million a year thereafter and reduce litter on the street. The street cleaning performance of Veolia has not been good enough, and we are sorry for that. In 2017/18 we deducted 10% of the contract value and will do again this year if necessary. On the new Harris Academy Cllr Alambritis said the Council had a duty to provide sufficient primary school places and the expansion in that sector meant a new secondary school was needed. The proposal from Harris had been agreed by the Department for Education and the Education and Skills Funding Agency. The new school was already oversubscribed and proving popular with parents. The Planning Applications Committee is a quasi-judicial committee that takes information from experts and objections and support submitted by residents. If someone feels something untoward has taken place they can report to the Local Government Ombudsman. A resident asked about the option of Compulsory Purchase Order of the building being used for temporary accommodation on the Willow Lane Industrial Estate. Cllr Alambritis said CPOs are looked at on an individual basis and he was happy to look into the particular case. A resident said she felt that planning officers were overworked and under pressure with reduced enforcement activity but a quality service is a priority. Cllr Alambritis said the service is under pressure, many services are as the council has to priorities and make difficult decisions to balance the budget. A resident asked about the proposal for a concert hall on the P3 site. Cllr Alambritis said that the lease for the site, the car park behind Morrison’s, would return to the council in 2019 and that he had met with the Wimbledon Choral Society to discuss their plans. They key would be if the plans are both deliverable and sustainable. 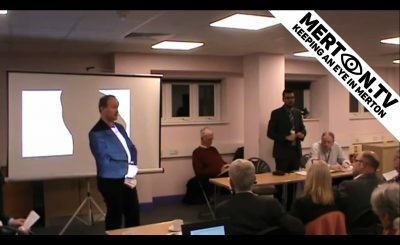 Paul said that he and the team would be happy to attend local meetings to discuss the document and can be contacted via email to future.merton@merton.gov.uk. The plan looks at people and spaces as well as buildings and the aim is to provide certainty to developers from both the Council and the local community. Wimbledon has a long history of recycling itself, usually in response to changes to the transport network and Crossrail 2 presents another opportunity to do so again. Currently the town centre is in a single line east to west, so the plan looks at expanding north to south over the railway lines, to create a cross with the station at the heart of the town. This will also create new open space. The plan proposes to set new height levels of 8-10 stories or 14-16 for buildings over the railway. The plan also proposes to maintain the ‘DNA’ of Wimbledon in the design of new buildings, for example in the use of white Portland stone. There will be pop-up events to test open spaces on St Marks and outside New Wimbledon Theatre. The team will also use social media, temporary street stencils and is talking to schools about involving young people. Paul agreed to return in December for a fuller discussion. Councillor Holmes thanked everyone for attending and closed the meeting.